Interests:I sell stuff to fund my toy collecting hobby. Brotha can you spare a dime? See my sig for my ebay sales/trades and ISO! 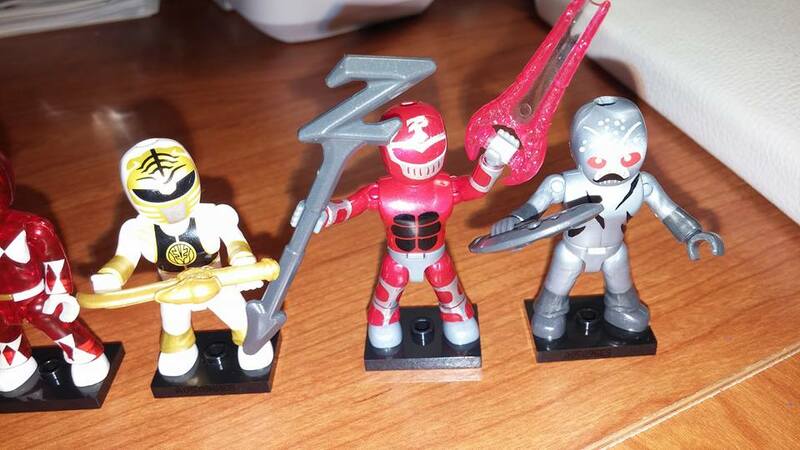 I'm hoping these new power ranger mini figs from Mega Construx (a rebranding of Mega Blocks?) blind bags sell well so they make another series. I have made a cheat sheet based on info i found online. It works! 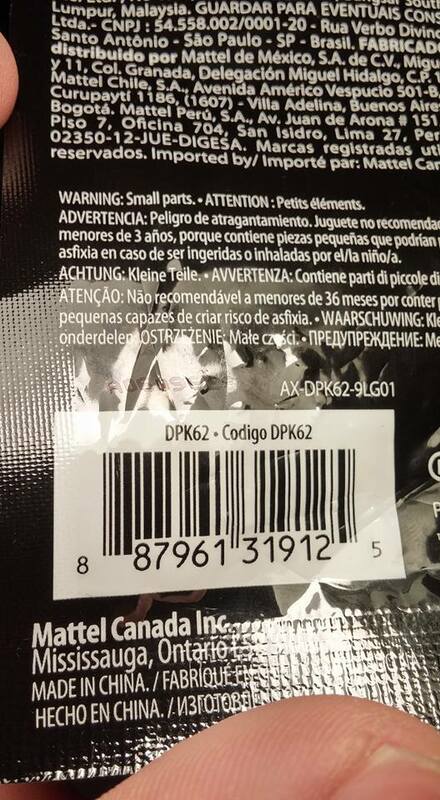 There is an alphanumeric code printed with black ink on the back above the upc label that has AXX... on it red ranger is A09... etc. My favorite would be the white ranger hands down. This is, indeed, a rebranding of Mega Bloks, now that Mattel has bought that company. Are you happy with the physical qualities of the figures? I read somewhere else that they were crap, compared to previous Mega Bloks releases. I am curious how they are as well. They look really shoddy, IMO. Zedd has no sculpting (not that anyone does) but I'm mildly interested still. The box artwork and stuff looks HORRIBLE. Like, not that it's a bad design or something, it's just CRAP. Like, bad bootleg crap. I honestly assumed that was all placeholder artwork, which is what it looked like, but I've seen the stuff in stores. It actually has that MS Paint layout and artwork. 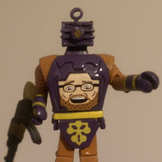 It scares me that Mattel may ruin Mega Bloks. I am happy enough. It's a fairly cheap blind bag of $3.50 Canadian. Apparently the older rangers from the 20th anniversary had ninja heads with removable helmets and the paint job might have been better (diamond striping around across the front and back of the boot area). Other than these I only have a Halo ghost, spartan, and elite box set that I bought for $5 at a surplus store. The rangers are more cartoony for sure. Bought I did buy this set today and am happy with how alpha looks for $13 (thanks to a mis labeling on the shelf...normally $20 canadian). This is a picture of the set I have now. Pretty crowded lol. 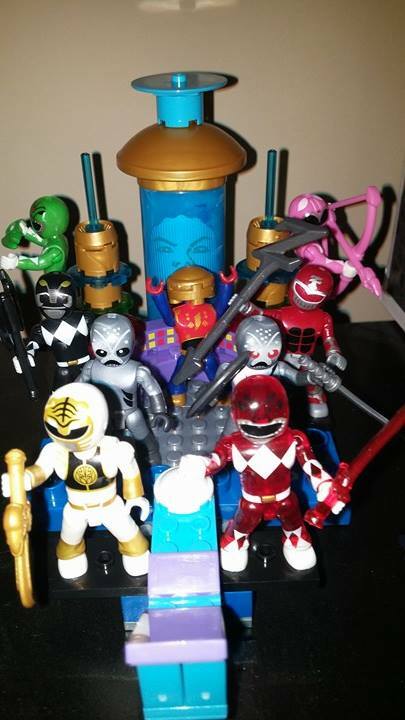 Not sure if I'll buy the blue and yellow rangers from their respective zord sets. 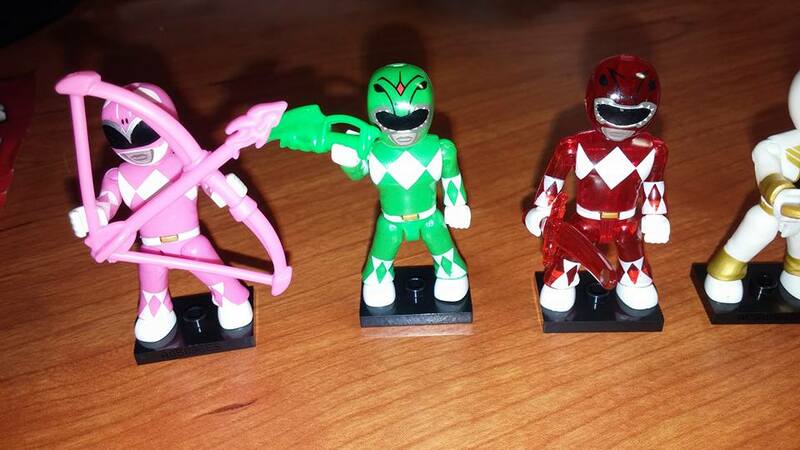 Plus the red ranger from the blind bag is translucent. The normal opague red ranger is with his t rex zord. The Megazord is priced at $34 where I am. Also, their weapons are just reused molds and not really representative of the actual ranger weapons. There is that new line of ranger 6 inch figs that have Marvel Legends type build a figure pieces with them that are detailed but are priced at $20-$25...but I think they are overly musculature compared to the show. Best single figure would have to be the white ranger. I just really like miniatures! Just saw these in stores last night and was wondering if they were new mega blocks/mattel product. I don't think they are and really hope they are not a mega bloks rebranding. The packaging looks like cheap bootleg garbage and the figures themselves look like they are taking a huge step back from the strides mattel has made since they took over mega bloks products. The current TMNT line is fantastic and even the new products just now coming out feature the same excellent packaging and figure designs. These ranger products just dont cut it. They are a Mega Bloks rebranding. Supposedly the more "adult" oriented brands, with be Mega Construx and only the very basic young kids stuff will be called Mega Bloks, moving forward. However, you have it completely backwards. Mega Bloks as a brand was doing incredible things, with Call of Duty, TMNT, etc. Then Mattel bought them. While it seems that many lines are still doing good, stuff like the new Power Rangers and the Mega Construx nonsense is directly tied to Mattel. That stuff didn't happen until Mattel bought them out. And anyone who knows anything about Mattel, will point to the fact that Mattel has a history of this sort of thing. Cheaping out whenever they can, buying up a license or a brand and then essentially ruining it by not putting in the same effort that the brand originally had before Mattel bought it. I did see new turtle sets yesterday with the construx label and cringed. And I remember mattel buying them out well before the turtle stuff was made, and was under the impression that they were the ones that moved the line forward. Their concept castle grayskull they showed off looked fantastic like the turtles stuff and while I generally dont support mattel anymore I do feel like they have been great with some of their lines. Also I had a roommate who bought the mega bloks halo stuff for years and I was buying some of their marvel stuff for set pieces with minimates. Mega bloks have always been substandard to me, bricks that cant stick together and fall apart for no reason. I havent liked mega bloks or been impressed by their sets/quality until I tried out a turtles set I wanted to use with minimates, and now Im so impressed with the turn around that Ive bought several, and I would LOVE that technodrome to go with my mates. However If that really was the old bloks crew responsible for that then I guess Ill be saving money again soon, but I really hope the turtles quality continues and the rangers are a crappy one off. 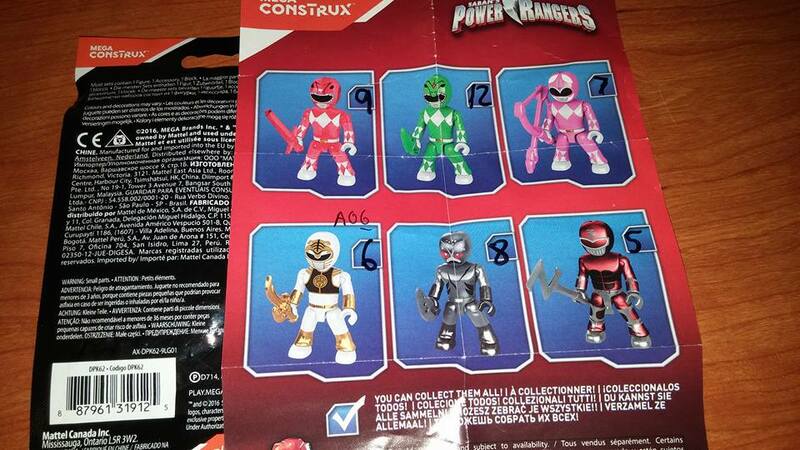 These are clearly aimed at kids and not adult collectors. That's why they use the older Mega figure body and not the newer type with all the articulation (COD, newer Halo, TMNT etc). I bought all of the PR stuff and its a lot of fun. The sets are simple construction (again, aimed at kids) but a lot of fun to play with. Plus its nice to have a complete set of the MMPR team in one wave without having to wait for a second wave that may or may not happen. The only thing we're really missing here is Rita which is a surprise since she's the baddie in the new movie. Zed, Goldar, Putties, Alpha, they're all here. Oh and the Green Ranger is missing his shield. Hoping that comes with a Dragonzord release eventually.